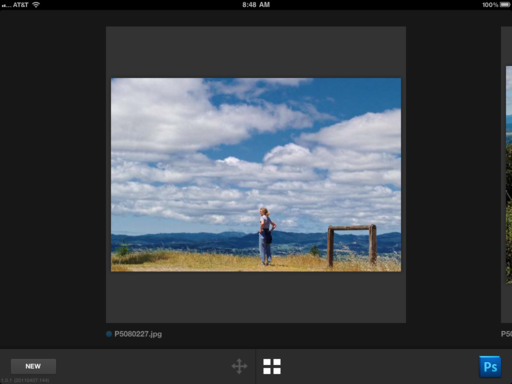 Adobe released a handful of demonstration apps for the iPad to show off their new set of developer tools. I downloaded Adobe Nav for Photoshop ($1.99 in the App Store) and connected it to Photoshop CS5 12.0.4 on my MacBook Air. 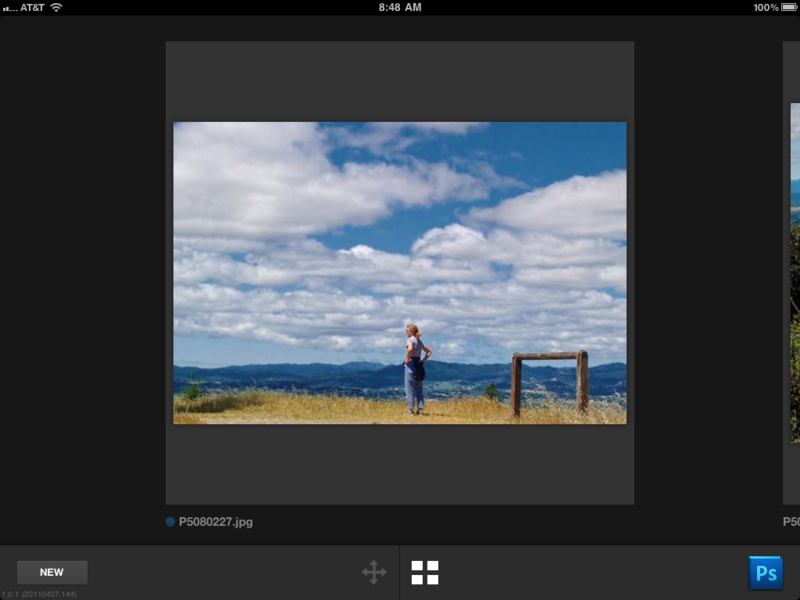 You have two basic modes to work with: Tools, which gives you access to your Photoshop tools on the iPad, and Browse mode that allows you to view all of the images you currently have open in CS5. If you double-tap on an image, you're presented with some basic metadata about it. Double-tap again and you return to the photo. There are three basic viewing sizes: thumbnail, medium image (shown in this illustration), and full screen. The tools are fun, but you still need to operate them on the computer. I did like hitting the Tab key to hide the tools on my Mac, allowing me a cleaner view of the image, then switching among the tools on the iPad. You can organize the tools on the iPad any way you want, which could turn out to be one of the most alluring features of this app. One of my favorirte Nav functions is the Screen Mode that allows me to switch to full screen mode on the Mac with just a tap on the iPad. Actual Pixels is pretty good too. But I think the real fun is being able to walk over to a coworker's desk with iPad in hand and discuss an image or two that you have open in Photoshop back at your desk. It's another bit of freedom that isn't going to change the world, but is nonetheless enjoyable. What Adobe hopes will happen is that developers will start using the SDK to create new iPad apps that no one had previously imagined. In the meantime, Adobe Nav is a tiny peek into the future. Little typo, Derrick: "But I think the *read* fun"
Thanks Chris, I just fixed it. Let us know what you think of the app.